WGNO: Statistics show that nearly 50 million Americans have tried online dating at some point in their lives. We've all heard of the traditional sites like Match.com or the famous apps like Tinder or Bumble, but now there is a new dating app that is sure to make singles fall in "puppy love" with their match. It's called Dig-The Dog Person's Dating App, and it was created by two sisters from New Orleans. NBC Sports: “Mary Carillo takes a look at Dig, a new dating app for dog lovers, and meets two dog owners who met through the app." Watch this fun story featuring Dig-The Dog Person's Dating App during the Beverly Hills Dog Show sponsored by Nestlé Purina North America! Sun Sentinel: South Florida dog lovers looking for some romance may dig this new app. Dig, which matches single people who own dogs or just really care about them, is having an official Miami launch today. “Miami dog-lovers are very dedicated to their pups, and we know they’re looking for a partner who will love their dog as much as they do,’’ said Leigh Isaacson who co-founded the app with her sister Casey Isaacson in New Orleans last year. The New Orleans Advocate: You look at your phone, and there’s a picture of Megan and her wrinkly bulldog — underbite protruding. Or maybe it’s Leon, throwing a ball to his loyal Lab. Ray scooping up his beagle. Nicole cuddling with her shar pei. Denise doting on her poodle, which she happens to carry in her pocketbook. You’re not looking at an advertisement for the SPCA. Rather, you’re on one of the newest additions to a growing pool of dating apps, designed to help you find love. Odyssey: I downloaded the Dig app and I was impressed. Not only does it have preferences that you can adjust for the right human match, but also for the dog. Because dogs can also be particular with who their dog friends are, this feature is practical. I can't imagine a better way to connect with like-minded people. Dig cuts right to the chase and connects dog people based on what's important to them — their dogs. AskMen: Most single people already know that patience is a virtue in the dating world as much as it is in life. When it comes to shared interests such as a love for animals, you can end up wasting valuable time if you find out too late that your date doesn’t want to be around your best fur friend. Thank Dog, there is now a dating app called Dig that matches dog lovers. Miami New Times: Introduced on Valentine’s Day 2018 in New York City, Dig is making its official Miami debut next month with an event for very good boys (and girls!) and their owners. It’ll feature adoptable dogs from two rescue organizations, along with treats for both canines and humans. iHeartRadio: Passage to Profit, an iHeartRadio show and Podcast, featured Dig in their NYC Headquarters. CEO Leigh Isaacson is a featured guest and discusses why Dig is the best way for dog lovers and dog owners to find a compatible match and plan a dog-friendly date. KPTV: Are you looking for someone to love? Are you looking for someone who loves dogs as much as you? You’re in luck! Dig, the dog person’s dating app, launches in Portland today, and the company is throwing a party to celebrate. MORE’s Molly Riehl sits down with Portland’s Dig ambassador to learn more. KGW8: Dig - The Dog Person’s Dating App is coming to Portland! Dig Co-Founder Casey Isaacson and Dig’s Portland Brand Ambassador Callista Michael-Rill discuss why PDX is one of the best dog towns and celebrate Dig’s Portland Launch live on Tonight with Cassidy on KGW TV News. Founding pup Layla steals the spotlight! KTLA: Dog lovers can vet whether potential mates will mesh with their life as well as their four-legged friend's thanks to a dating app called Dig that's launching in the Los Angeles area. Kacey Montoya reports for the KTLA 5 News at 10 on Feb. 22, 2019. Portland Monthly: Enter Dig, branded as “the dog person’s dating app.” Co-founded by sisters Casey and Leigh Isaacson, the app allows dog owners—or anyone who’d like to snuggle up to a dog owner—to connect with other canine-loving single folks. The app has been available throughout the U.S. since February 2018, but in a bid to increase user numbers in Portland—by all measures a dog-devoted city, what with our 30-plus dog parks, slew of luxury dog hotels, and even one of the world’s only animal law professors—Dig is throwing a launch event later this month. It’ll be a dog-friendly party, of course, with adoptable pets from four rescue organizations. NPR How I Built This: One of the most listened to podcasts in the country, How I Built This, weaves a narrative journey about innovators, entrepreneurs and idealists—and the movements they built. In this week's episode postscript "How You Built That" segment, Dig CEO Leigh Isaacson explains how her sister Casey's break up inspired them to create a dating app for dog lovers. WCVB: Singles in the 21st century are extremely busy; dating apps help make finding that special someone easy. Realizing the need for a dating app for dog lovers, Leigh Isaacson launched "Dig" in 2018 and today the app has more than 21,000 users. If you’re lucky enough to own a pup, you know that things never work out with someone if they’re not as into your dog as you are. So Dig connects dog people based on what’s most important to them. WWL: New Orleans gets ready for a dog-friendly Valentine’s Day party with Dig - The Dog Person’s Dating App! WWL-TV checks in with Dig CEO Leigh Isaacson, and her dog Penny makes a live TV debut. Dig’s New Orleans Valentine’s Day Party will include free wine for humans and free treats for dogs provided by Blakemoore Bark. Cheddar: Cheddar TV’s show “Big News” featured Dig - The Dog Person’s Dating App at their studios in lower Manhattan! Dig CEO Leigh Isaacson shared how Dig makes it easier for both pups and humans looking for love. Silicon Bayou News: In December, New Orleans-based dog dating app startup Dig announced it was launching an equity crowdfunding campaign with online portal Netcapital, allowing users to contribute a minimum of $99 for a piece of the company. Now, the startup has been named a Top Deal by KingsCrowd, independent, equity crowdfunding research and rating service. “Dig is filling a gap in the dating app market with a customized solution for dog lovers, which is a surprisingly large market opportunity. 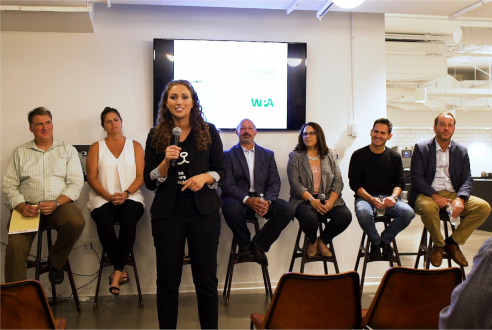 We were also impressed by what the Dig female founding team has been able to accomplish to date,” said Chris Lustrino, Founder and CEO of KingsCrowd. Datingadvice.com: If you’re a single dog owner, you need your date to embrace both you and your pup(s), and it can be frustrating to waste time with cat people or people who “just aren’t into animals.” Fortunately, the Dig dating app offers a community where single dog lovers can mingle freely. You can “dig” profiles on the app to make a match and get the ball rolling by talking about your favorite dog breeds. Everyone on Dig loves dogs, so you don’t have to hound someone to go on a dog-friendly date. Silicon Bayou News: Investing in startups is no longer limited to big institutional venture capital firms and millionaires. 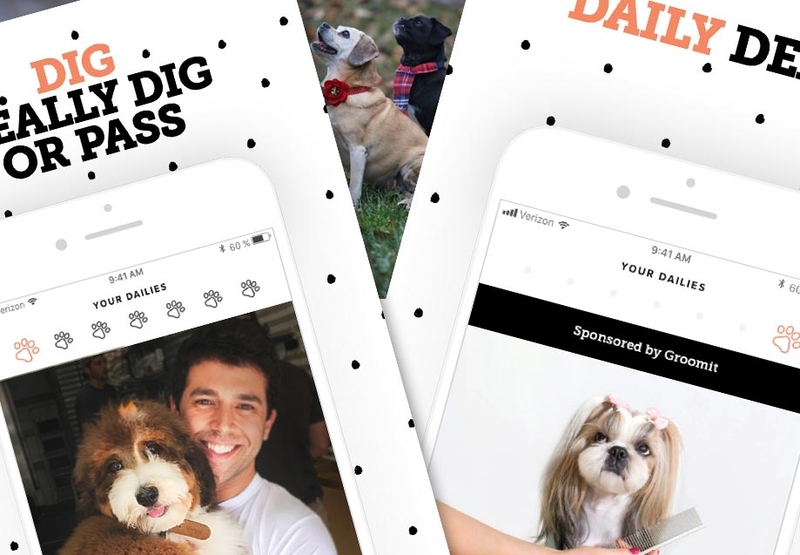 Dig – The Dog Person’s Dating App is the first Louisiana-based company to launch an equity crowdfunding campaign with online portal Netcapital. “We constantly hear from thousands of Dig users and social media fans that they want to see Dig grow,” said Leigh Isaacson, CEO and Co-Founder of Dig. Forbes: The pet industry has been experiencing explosive growth... Dig calls itself, ‘the dog person’s dating app.’ The dating app universe has become increasingly niche-focused and users are usually active on several apps simultaneously. Dig offers the possibility of a relationship with someone who already has a relationship in their home or who wants to get a dog in the future. The app also helps plan dog-friendly dates. 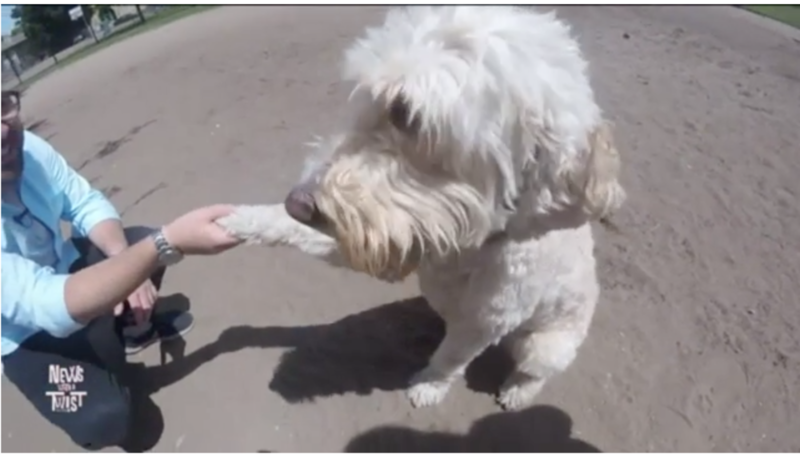 Austin Business Journal: Are you a lonely Austin dog lover looking for love? You're in luck; Dig is now live in our city, and founders have positioned the startup to capitalize on Americans' fondness for our furry friends. Signs of a winning startup idea include would-be employees offering to work for free and companies paying for partnership opportunities. 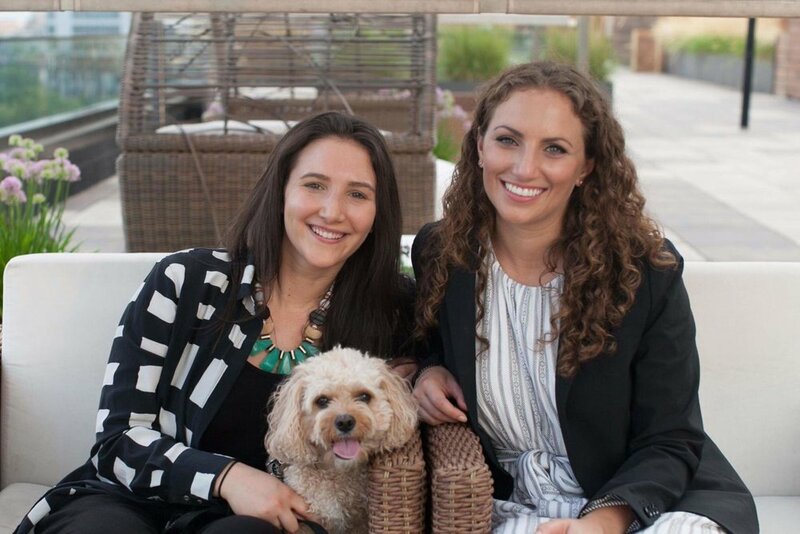 Entrepreneur sisters Leigh Isaacson and Casey Isaacson have enjoyed both as they’ve barnstormed the country, introducing their dating app for dog lovers. 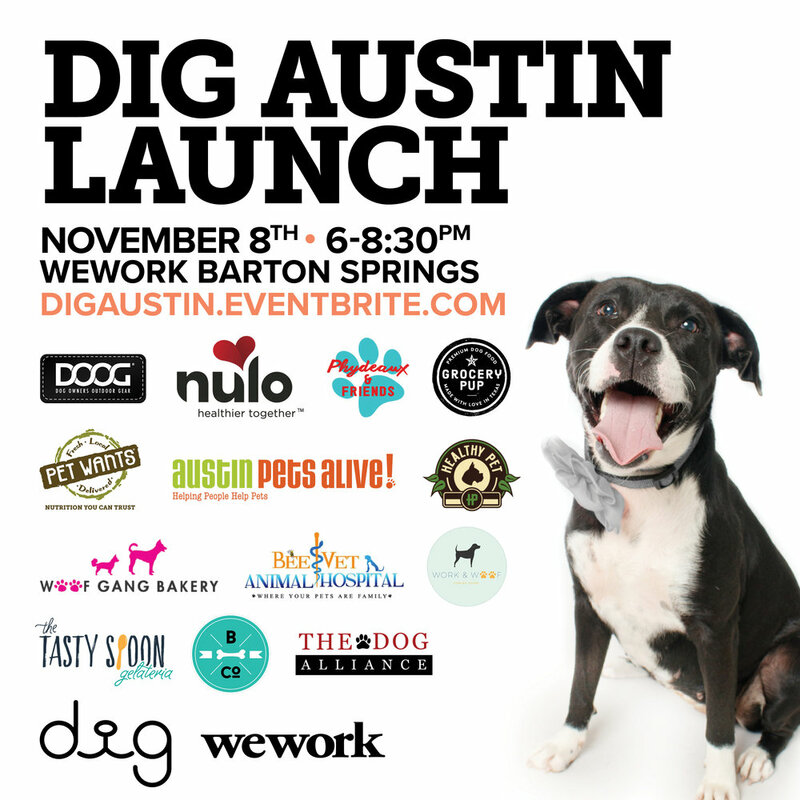 Austin Inno: The Dig app launched in Austin in early November with a party at WeWork Barton Springs. And the startup says it has partnered with several dog-centric businesses and organizations in Austin, as well as WeWork offices in all the communities they launch. Austin will be an interesting test market for the sisters because it is highly-rated on a variety of lists featuring dog-friendly cities. KVUE: For so many dog owners, pets are just a part of the family. So if you're dating someone who doesn't like them, it's probably not going to work out. Since Austin has so many places that are dog-friendly working areas, such as WeWork. That's why the new dog-lover dating app called "Dig" had their launch party at the co-working space. They started in New York and New Orleans and have spread since then. Their goal is continue to grow and the city of Austin makes sense. "Especially in Austin, we've been so excited to launch in Austin, we've been like kinda waiting," said Isaacson. WGNO New Orleans: Kat likes dogs as much as she likes guys who like dogs. In fact, Kat would like a date with a guy who's got a dog, and now she can make that happen. That's because this dog lovers dating game just got real. It just got really real. You guessed it, now, there's an app for that. Austin Startups: It’s a really exciting time to be a dog in America right now, and there’s no better place in the country to celebrate our collective love for dogs than in Austin. 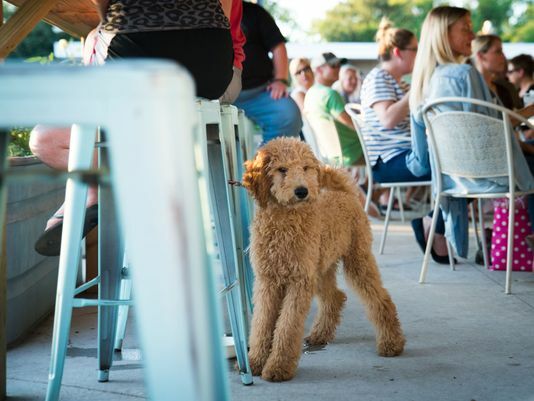 With its off-leash parks, various doggy daycares, groomers, bakeries, dog-friendly hotels and restaurants, Austin clearly takes pride in catering to pups. It’s no surprise Austin has been deemed as one of the top 10 cities for dogs in America. Now, dog-lovers looking for two-legged love can meet on Dig — The Dog Person’s Dating App, which launches in Austin on November 8. The List: These days, online dating sites are using more and more unique ways to pair people. Teresa Strasser shares three of the most interesting and out there options on the Buzzlist. 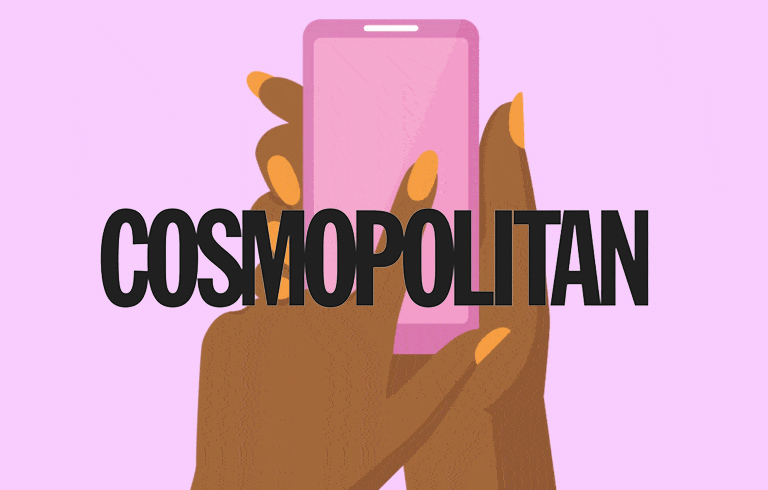 Cosmopolitan: If you know getting a dog or merging dog families with a partner in the future is a must for you, get on Dig right now. This app shows you five potential matches a day, with filters for people who also have dogs and people who don’t have dogs but want one in the future. You can also sort through dogs by size, so if you’ve got a teeny teacup yorkie, you can find them an equally lil’ bud. Available for IPHONE or ANDROID. Refinery29: If you're a dog person only looking to date other dog people (which is fair), this is the dating app for you. You don't have to be a dog owner to use the app, but if you are, you can make a profile for you and your dog, and then filter your potential matches based on whether they have a dog, as well as the size of their dog. It's definitely one of the most wholesome dating apps out there, which is refreshing, to say the least. Android Police: You're either a dog person or you're not. Or maybe your boyfriend slowly hounded you with pictures and videos of puppies until you became a dog person and started drooling everytime you saw a pup. That may or may not be a tail based on personal experience. Regardless of how you fell in love with those fuzzy creatures, your personal life starts revolving around them and you'd want a pawtner who gets that. Dig is a dating app just for you then, and now it's available fur Android. AskMen.com: Dogs are a great excuse for a first date — they’re cute, cuddly, and simply a great way to fill an awkward silence — wittle guy won’t stop chasing his tail! Now with Dig, instead of just pasting your pup all over social media, you’ll know there’s someone out there who loves dogs just as much as you do. American Kennel Club TV: There are a ton of new apps available to make a dog-owners life easier. Charell Star takes us through some of her favorites! Fox 2 Detroit: Leigh Isaacson and her sister, Casey, are launching Dig all over the country - because, they say, your pup is such an important part of your life - just like your potential partner. Silicon Bayou News: New Orleans-based Dig, a dating app for dog lovers and owners, has made it into the top 100 of the global startup competition called Startup of the Year run by TechCrunch. Good Life Detroit: According to Leigh, 55% of single adults in the U.S. are pet owners. She explained to me when a person has a pet, they already have an established relationship in their life. Therefore, finding a person who not only loves pets but is also willing to be included in the pet relationship is important. “It’s something you need to know from the start,” she told me. Daily Detroit: Dig, a dating app aimed at dog lovers, is launching in Detroit on Thursday. They’re throwing a kickoff party at WeWork Merchant’s Row in downtown Detroit. The free party is this Thursday, September 20th from 6-8PM. Dog512: Dig – The Dog Person’s Dating App is launching in Austin on Thursday, November 8 with a huge dog-friendly party! Dig is the best way for dog lovers and dog owners to find a compatible date, and it has features to plan a dog-friendly date! Austin is one of the most dog-friendly cities in the country, and Dig can’t wait to meet all the dog lovers and dog owners! Detroit Free Press: As part of a promotional campaign for Dig, the Isaacsons are holding dog-friendly events in cities across the country, including one in Detroit on Sept. 20. The Sept. 20 event will take place from 6-8 p.m. at WeWork Merchant's Row on Woodward Avenue in Detroit. Adults 21 and older and dogs of all ages are invited to the free and public event — tickets can be secured via Eventbrite. 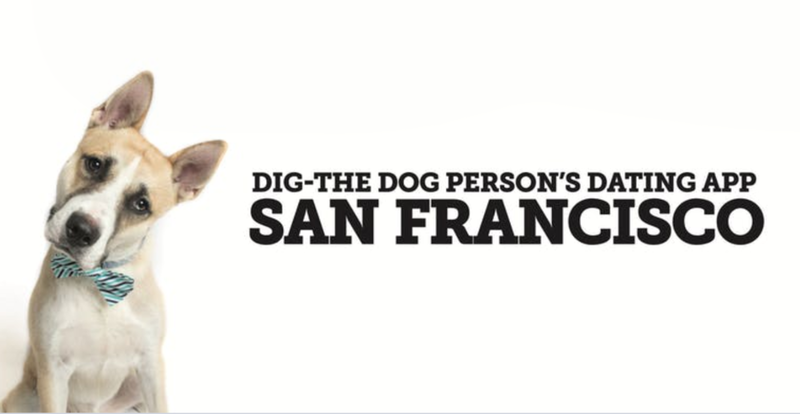 Do The Bay: Dig – The Dog Person’s Dating App is officially launching Thursday, October 11th with an exclusive, dog-friendly event at WeWork Mid Market! Entry and drinks are FREE when you download or share the Dig app. The first 15 attendees with dogs get a full bottle of Shake & Wag Dog Food Seasoning! (Everyone gets a sample size) Let your pup try the Organic Wiggle Biscuits and Breathbone chews from V-Dog! My New Orleans: There are dating apps that pair singles based on a wide array of things — from matching people of the same religion, to an app that pairs people based on things they hate. And now, thanks to Leigh Isaacson, there’s an app devoted to connecting dog lovers with other dog lovers. Dig — The Dog Person’s Dating App, was co-founded by Isaacson and her sister, Casey, in 2017 and has been strategically growing city-by-city ever since. The Boston Globe: Sisters Leigh and Casey Isaacson of Newton consider meeting the dog just as important as meeting the parents. That’s why they created Dig, a dating app for dog lovers that tackles what Leigh Isaacson calls the “compatibility issue” head-on. “If you’re not a dog person, it’s a big adjustment [in a relationship],” she says. “Even though it’s a niche, it’s a big niche,” Isaacson says of the app. Silicon Bayou News: New Orleans-based Dig, a mobile dating app for dog lovers, has been selected as one of the four companies participating in the Chicago Pet Care Startup Growth event presented by Purina’s Pet Care Innovation Prize. The showcase is taking place on August 15 in Chicago, where Dig will present in front of an audience and a panel of pet care founders, investors, and advisors in the industry. NBC Boston: A dating app created by two sisters from Newton, Massachusetts, is strictly for people who "Dig" dogs. Improper Bostonian: Newton natives Leigh and Casey Isaacson are giving Boston singles something to wag their tails over with the recent launch of Dig, a mobile dating app for dog lovers. “We’re bringing together the community of dog lovers in Boston in a new way.” We tapped the sisters for some breed-based dating profiles that give some insight into what users are looking for in a companion—for themselves and their pups. The Boston Globe:The service, based in New Orleans, was founded by Newton-raised sisters Leigh and Casey Isaacson, who believe that dog-friendly humans make good teams, in general. They’ll tell you that couples with dogs are better at handling stress, and how since 2006, pet ownership has increased by 28 percent among single men and 22 percent among single women, according to the American Veterinary Medical Association. Boston Inno: Sisters Leigh and Casey Isaacson are on a mission: to help people find love with a little help from their four-legged friends. To accomplish this they created Dig, a mobile dating app designed specifically for dog lovers, which launches in Boston next week. I Love My Dog So Much: Dud of a date? At least you’re with your dog! Use Dig – The Dog Person’s Dating App and find dog-friendly locations near you to suggest a first date idea. For example – go to the closest dog park! BONUS: Bring a treat you got from the “daily deal” section of Dig to win over your date’s dog from the start. Buzzfeed: What if we tell you that the way to your soul mate’s heart is not through their stomachs, but through your furbaby? We’re not screaming – you are! Dig is not-your-typical dating app as it finds not just another match, but someone who shares your love for dogs. Who’s the good boy now, hooman? BOSTON WHDH: Dog owners in the Boston area looking for love can now use their furry companion to attract a mate. Two sisters from Newton founded the dating app Dig, which is aimed at bringing dog lovers together. Casey and Leigh Isaacson found that 55 percent of single adults in the United States are pet owners, with research showing one of the best ways to get attention on dating apps is to feature your pup. Chicago Inno: On Saturday, Dig is hosting a launch party at the SoFo Tap in Andersonville, where it hopes new and interested users will come to mingle. To enter the bar, guests will have to show that they’ve downloaded the app onto their smartphone. The bar is, of course, dog friendly, and it will feature professional pet photographers, dog treats and even spa services for pets. Isaacson says she expects about 150 people to attend. Built In Chicago: Launching in Chicago with a pups&pride event, Dig is the new app everyone’s barking about. 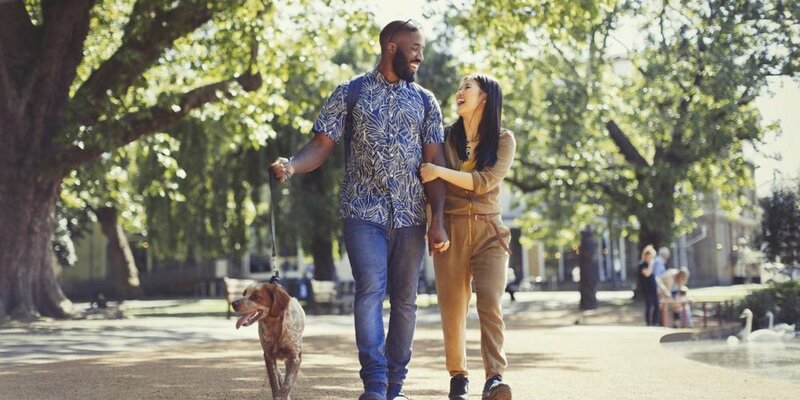 The dating app for dog people connects you with individuals who love dogs just as much as you do. Dig helps you find dog-friendly locations to meet the individual you “dig,” gives you tips from vets and trainers, and deals from pet companies. In addition to helping you find your partner, Dig hosts events and can connect you with rescue shelters to help you discover your future pooch. Philly Voice: Now available in Philadelphia, this app offers a new way to connect and date for dog lovers. Started by two sisters, Casey and Leigh Isaacson, in New Orleans, La., the app helps you connect with others by giving you five potential profiles a day that you can either “pass,” “dig” or “really dig.” Once you’ve matched, the app has suggestions for dog friendly places in the area. So no more awkward conversation about where the two of you should go, just use the feature in the messaging center to come up with date ideas. App Developer Magazine: You know what they say, there are two kinds of people right? Well new research highlights the need for a dating app for dog lovers and the folks over at Dig plan to launch just that in 25 cities by the end of 2018. Dog Mom's day recently took place in NYC, with another event coming the end of this month to launch in Chicago. They say "your city could be next! Petful: If you’re on the verge of throwing in the towel when it comes to online dating, give it one more shot. This time, though, try an app created to help dog lovers connect. Dig’s creators describe this service as “the dog person’s dating app.” It’s simple: Just create a profile featuring both you and your dog, then find potential matches in your area. Dig will give you dog-friendly locations for dates or meet-ups and even lets you narrow down your ideal match by their dog’s size to make sure they’re a good fit for your own pet. Out to Lunch: If you’re single and you have a dog, you’ll know that you can never get serious about dating someone who doesn’t like your dog. Or worse, doesn’t like dogs in general. That self selection of single dog people is the premise behind a dating app called Dig. Silicon Bayou News: Dig is a New Orleans-based mobile app for dog lovers and dog owners with some big news to share. The company recently completed The Idea Village accelerator program in New Orleans and has already been accepted into its next accelerator, MassChallenge Boston. MassChallenge is a global network of zero-equity startup accelerators with locations in Israel, Mexico, Switzerland, the UK, and several locations across the United States including the flagship location in Boston. The Dig team will be given access to corporate partners, mentorship, a tailored curriculum, scholarship opportunities, and co-working space. MassChallenge: Selected from more than 1,600 promising startups across industries and regions around the world, Dig will join the most competitive cohort to date. As part of the 2018 cohort, Dig will have unrivaled access to top corporate partners, expert mentorship, tailored curriculum, scholarship opportunities, and more than 26,000 square-feet of co-working space in the Innovation and Design Building – all at zero cost and for zero equity. At the culmination of the four-month program, Dig will also have a chance to compete for shares of $1.5M in cash prizes at the MassChallenge Awards on Oct. 17. 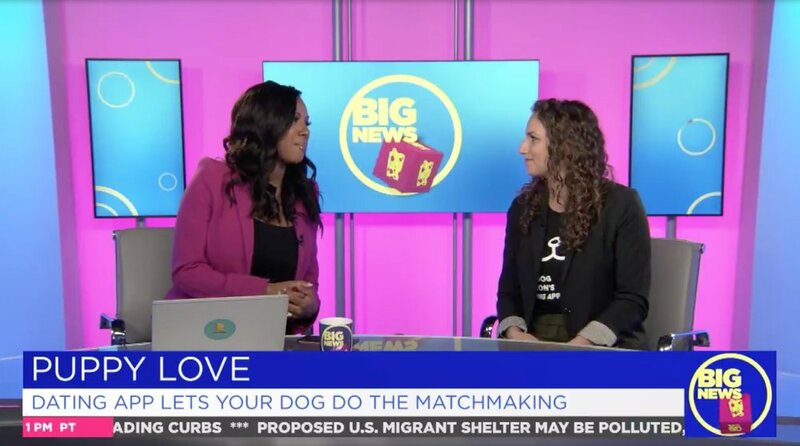 WDSU NEWS: Dig founders Casey and Leigh Isaacson built a dating app that connects dog people based on what’s most important to them. The Isaacsons said they created Dig after being duped by fake dog lovers too many times. Nibletz: Dig lets you tell your story and your dogs story so you’ll know off the bat if her boxer is going to get along with your Pomeranian or if your Dalmatian is going to get along with her Poodle. What about that ever important question about the bed, yup you’ll find that in the Dig app as well. Does she let the dogs in the bed? Does he let the dogs on the couch. From the getgo with Dig you and your future flame will know what to expect from the fur babies, and for most, that’s a deal breaker. Idea Mensch: We created Dig because being a dog lover isn’t just another box to check off on a long list of your attributes. It’s a way of life for a growing number of single people, and it’s crucial to know that up front when dating. From the beginning, we’ve surrounded ourselves with advisors who have gone through start-ups and small business experience before. Without their advice and guidance, we would have been lost. Dog people are always looking for ways to get dogs in their lives. 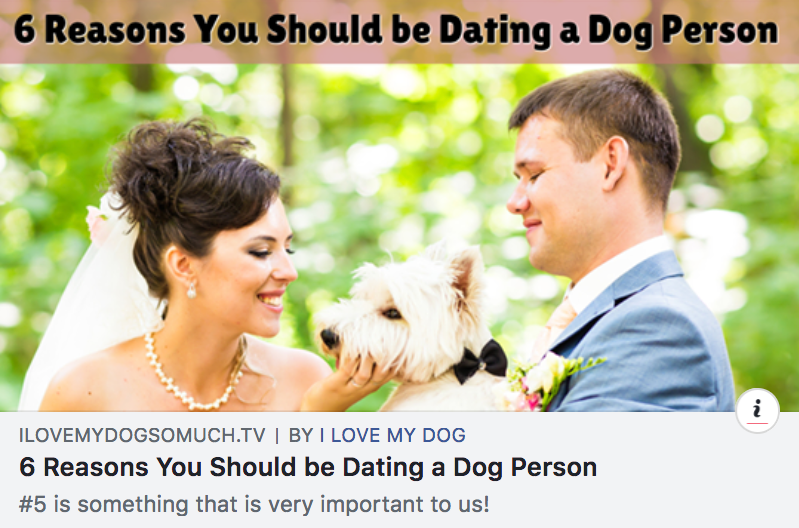 You’ll linger near the dog park’s fence, you’ll repeatedly offer to dog-sit while your friends are away, and you’ll scan every dating app for photos of potential matches with dogs at their sides. If you’re lucky enough to own a pup, you know that things never work out with someone if they’re not as into your dog as you are. 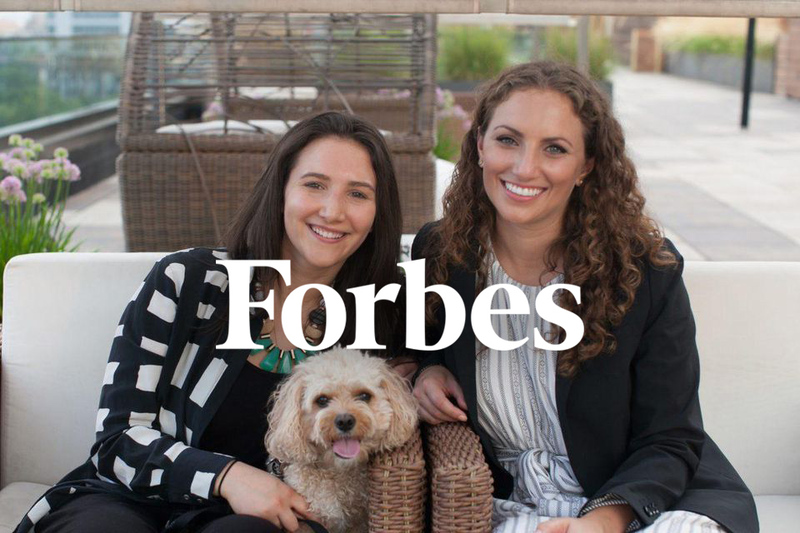 So Dig founders Casey and Leigh Isaacson built a dating app that connects dog people based on what’s most important to them.